Patricia Ann Brimeyer, 85, of Bettendorf passed away Sept. 30, 2017 at her home surrounded by her family. Patricia was born March 23, 1932 in Eldon, IA the daughter of Albert and Marion Passwater Hancock. She married Thomas Brimeyer March 2, 1957 in Rock Island. Patricia was a previous owner of the Dairy Queen on State St. in Bettendorf. 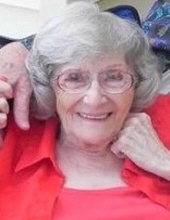 She enjoyed gardening, needlepoint and cross-stitching and loved spending time with her family. Survivors include her husband Thomas; children Jim Brimeyer, Cathy (Rusty) Spinsby, Jeff (Lynn Jones) Brimeyer and Tony (Mona) Brimeyer; 11 grandchildren; 12 great grandchildren; brother Bill Hancock and a sister Linda Shoop. Patricia was preceded in death by her parents; infant brother Richard Hancock; brother Michael Hancock; daughter in law Karen and sisters in law Patty and Joyce Hancock. To plant a tree in memory of Patricia Ann Brimeyer, please visit our Tribute Store. "Email Address" would like to share the life celebration of Patricia Ann Brimeyer. Click on the "link" to go to share a favorite memory or leave a condolence message for the family.